How Does Leading With Love Make You More Productive? John Maxwell has said he believes everything rises and falls based on leadership, and I think he's right. I've had to study leadership over the years and have read many books. But one of the best is a new release called Love Leads by Dr. Steve Greene. As believers, we know God is love. If that is so, then those of us who are leaders (and everyone leads someone in their circle of influence) must lead with love. Sadly, many Christian executives in secular workplaces don't know how to put their Christian principles into practice in an environment that demands productivity. And it's well known that many leaders of Christian ministries and pastors are loving to the public, but in the office, they are tyrants. This should not be. Greene has had a successful career, and he knows productivity can improve when you genuinely care about your people and lead with love. When I interviewed him on my podcast (which you can listen to below) he told me that "meekness does not mean weakness" and that he tries to praise loudly and correct quietly. He believes when mistakes are made, it indicates not enough training has taken place. Rather than getting mad, the loving leader knows more coaching must occur so the mistake isn't repeated. I know Greene well. He is the publisher of Charisma and the executive vice president of our media group. I also know he practices what he preaches. In fact, I encouraged him to write the book, and I was probably the first person to read the initial manuscript. The book released only a couple of weeks ago, but the word is getting out. I know of a couple of pastors who like it so much they are buying a case to give out to those they lead. You can find various materials at loveleadsbook.com, such as free videos to use in your organization plus a 30-day challenge you'll want to check out. Tomorrow, Tuesday, Aug. 22, we are holding a launch event at our company headquarters at 600 Rinehart Road, Lake Mary, FL 32746, from 10 a.m. to noon EDT. Dr. Greene will give a free one-hour seminar, and several dozen people have registered to come. If you live in Central Florida, you are invited. However, most can watch it on Facebook Live. I plan to attend, and I urge you to check out the website or the streaming video if you can. I believe it will be a ground-breaking, interactive, Christian leadership seminar revealing the secret that makes leadership work. You will discover what it looks like to lead with love. You will also view leadership as never before while Dr. Greene dispels the myths and misconceptions many have come to accept about leadership. Is there a process of love? Is tough love really love? 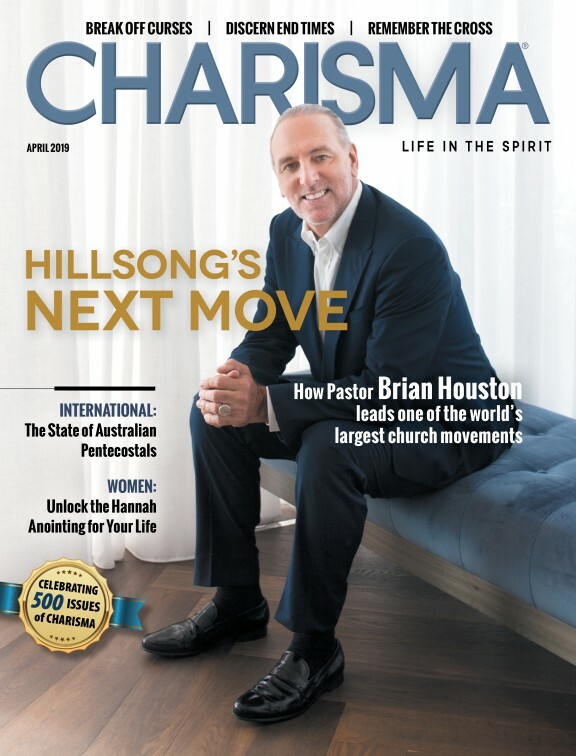 Besides being publisher of Charisma, Dr. Steve Greene is the publisher of Ministry Today, SpiritLed Woman and Christian Retailing magazines. He received his doctorate in marketing from the University of Memphis and has served as dean of the College of Business and professor of marketing at Oral Roberts University in Tulsa, Oklahoma. While in Tulsa, he also served as the senior pastor of Bixby Community Church. Dr. Greene has owned restaurants, a national advertising agency and a syndicated market research firm. He is a nationally known speaker and trainer in the fields of marketing and leadership. He has been married to Anette since 1973, and they have two children and three grandchildren. His podcasts can be heard at cpnshows.com. Please forward this to someone who may enjoy the seminar, the website or be interested in the book.